In the past year I’ve seen more skincare brands emerge who use formulas that combine science (I like to refer to these ingredients as “clinical”) and nature. 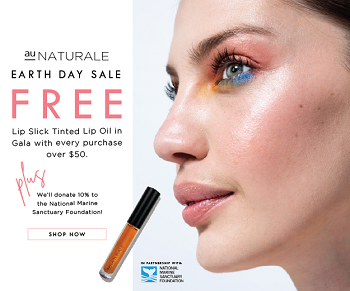 Scientifically-backed ingredients typically refer to ones that have a proven track record in delivering results such as niacinamide, hyaluronic acid, ceramides, vitamin C, and so on – and nature referring to plant-based ingredients such as oils, butters, extracts, herbs, and others. Through a lot of trial and error I’ve learned that my skin likes the best of both worlds – science-backed formulas tend to contain skin identical ingredients that help with barrier health and I like natural formulas for the nourishment, aromatherapy, and sensory experience. Both combine to feed my skin in such a way that they can’t seem to do separately. Sometimes these “clinical” ingredients might be synthetic, but that doesn’t mean it’s unsafe health-wise. I think what a lot of us are discovering is that “biocompatibility” is what’s important with skincare – ingredients that our skin can actually utilize to heal and maintain health. 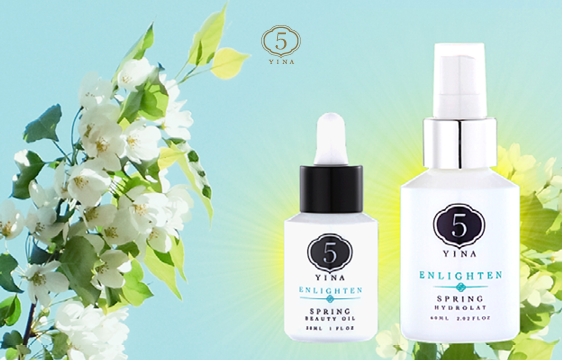 YOU Skincare happens to be one of these brands that combine the best of both worlds into super effective formulas! Amy Le, a laboratory scientist, is the woman and formulator behind the brand. Suffering from adult-onset acne herself and finding no solutions through products already on the market, YOU Skincare was born out of a necessity to heal her skin through effective, but safe formulas. Amy believes we can trust science and nature together and that we don’t have to choose just one. “There’s a middle road, That’s where YOU Skincare comes in”. Right on, Amy! Amy generously offered me the opportunity to test a few products from her line and since I was interested in pretty much all of the products, I asked her to surprise me with anything that would suit my dehydrated skin. I’ve been testing these three products for two months and I’m excited to share my results! Sodium Hyaluronate. Hydrating; holds water to the skin. Aids in wound healing. I could count on 10 fingers how many times I’ve featured a facial mist or water-based product in which I claimed that it felt super hydrating, but I now know how mistaken I was until I tried this essence. YOU’s Moisture Replenishing Essence* is a cross between a facial mist and an essence – it has the hydrating water-y liquid base of a facial mist, but it contains the concentrated and beneficial ingredients of an essence, kind of like a tonic or elixir. I’ll do my best to sum the performance of this essence up for you all – it is the BOMB. I don’t think I knew what a hydrating quality in an essence/mist/tonic was before trying this one. Like I mentioned, I’ve made that claim about many products, but they don’t really live up to this essence and I can see it in a massive difference. It jam packs my skin cells with water in a visible way (skin is so plumped) and it greatly improves the absorbency of the products that follow it. It’s replenishing, refreshing, and so soothing. I love the way that it cocoons my skin with a base of healing, antioxidant-rich goodness. One thing to note about this essence: Although it looks like it comes in a spray bottle, it doesn’t “mist”, but rather it comes out of the nozzle as a direct stream. It’s intended to spray into your hands and pat on the skin. I don’t recommend using a cotton pad as it will soak up the preciousness that is the essence. The Moisture Replenishing Essence retails for $56 (100ml) and is available at youskincare.us. Niacinamide. Improves barrier function; visibly reduces texture and evens skin tone; visibly reduces appearance of large pores and blemishes; reduces redness. Willow bark extract. Toning; astringent; helps to maintain clear pores. N-Acetyl Glucosamine. Improves signs of aging; fades hyperpigmentation; reduces dryness; exfoliating. Before I get into the good stuff and explain why I love this serum, I have to admit that it took me some time to warm up to it. To cut a long story short, I was using this serum incorrectly at first by applying too much, applying it on skin that was not damp, and following it with too many layers, resulting in a really tacky and unpleasant finish. I nearly wrote it off as being too much of a serum, too tacky, too heavy, etc., before my brain cells kicked into gear and told me to experiment with it. As intuitive as I like to think I am, I have a tendency to apply too much product and not realize that it’s probably the reason why I’m not meshing well with a product. The bright side is that I come away with some experience and can provide you guys with the best way to use a product! YOU’s Clarifying Glow Serum* contains a packed formula that delivers gentle exfoliation (without the sometimes irritating chemical exfoliators like AHA/BHA), healing ingredients, and plant extracts that will visibly improve skin tone and clarity. My skin is prone to dehydration and if I don’t give it the upkeep it needs in hydration and exfoliation, it becomes problematic in terms of redness, texture, dullness, and lack of clarity. The Clarifying Glow serum has been incredibly effective for me – I’ve been able to do away with chemical exfoliators (my skin is looking smoother than ever) and my skin tone is clear, clarified, and back to looking healthy after a bad experience I had with chemical exfoliators over the Summer. It’s really moisturizing for a serum, so that aspect combined with the other benefits makes this serum a one-hit-wonder for me. Even more amazing though is how it gives my skin immediate glow, – like POW. It’s as if it contains a liquid highlighter without mica or shimmer – expect a lit-from-within gleem coming off of your skin. The Clarifying Glow Serum is currently my only treatment serum and I plan on keeping it that way. As someone who is inconsistent with skincare, I have stuck with this serum every night for the last two months and that really says something about it! HOW I USE IT: This serum is slightly thick (like a gel-lotion) compared to the traditional water-y consistency you normally expect, so I apply it in a specific way to avoid over-application. The Moisture Replenishing Essence and the CG serum are a super effective and powerful duo, so I recommend to use these together. After cleansing, pat in 2-3 spritzes of the Moisture Replenishing Essence, but leave the skin slightly damp. While damp, massage in a small drop’s worth of the CG serum per each section of the face. A full pump will likely be too much product, so focus on each section of the face with a very small amount. Follow it with a moisturizer of your choice – I use light-medium options like AMBAR’s Silky Moisture Fluid or Blissoma’s Peace Evening Calming Creme. I follow the same protocol with my moisturizer of applying small drop’s per each section of the face to avoid over-application. I only use the Clarifying Glow at night since I don’t want to overload my skin with actives, but the plus side of that combined with the way I minimally apply it is that I’ve barely made a dent in my bottle! In this two month period I haven’t even made my way through 1/4th of the bottle, so I’m pretty sure it’s going to last forever. 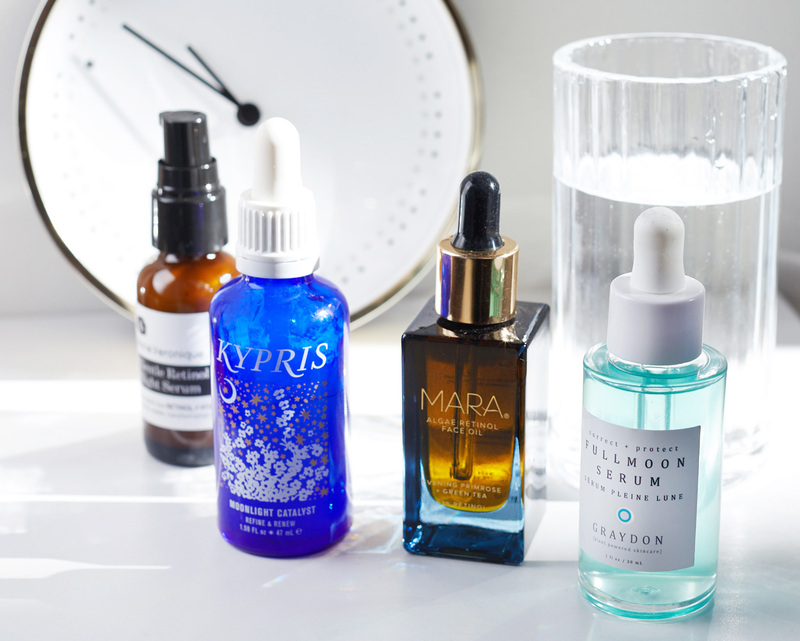 You’ll really get the bang for your buck with this serum. I highly recommend to try it if you have a problematic skin type and are prone to dehydration. The Clarifying Glow Serum retails for $60 (30ml) and is available at youskincare.us. Oils of rice bran, papaya, watermelon, camellia, baobab, sea buckthorn, sunflower, and black cumin are combined to create a blend that is balanced in fatty acids. With my dehydrated skin type, a compromised moisture barrier is a major concern. I’ve been there and I’ve had it, it’s not fun! Major redness, texture, bumps, sensitivity, dullness, VERY unsightly as if my face is covered in eczema – it’s terrible. One thing that can lead to a compromised barrier – no matter your skin type – is cleansing with high pH, high foam cleansers, and over-doing it on oil based products that are high in oleic acid which can break it down over time. This is where YOU Skincare’s Barrier Repair Cleansing Balm* comes in and why it’s fabulous. It contains a blend of light and medium weight oils – which gives it an even profile between linoleic-rich and oleic-rich oils – making it great for all skin types while promoting a healthy moisture barrier. If your barrier is damaged and you’re looking for the most gentle but beneficial kind of cleanser that can only help, this balm is a great product to start with. It cleanses beautifully leaving my skin bright and plump, but not overworked like some balm cleansers tend to do to my skin. It does a great job at keeping my pores clean by getting the “grits” out which is where I ultimately judge how well I like an oil-based cleanser. My favorite part, though – the scent! Sweet orange, bergamot, tangerine, lemon, and peppermint combine to make a scent that’s really fresh, fruity, and lemon-y. I highly recommend that all skin types give this cleansing balm a go, especially if you’re dehydrated, problematic, or acneic. The Barrier Repair Cleansing Balm retails for $58 (50 ml) and is available at youskincare.us. As someone who is quite inconsistent with skincare, I think it says something about the brand and their products when I actually consistently stick with it. These formulas have been incredibly effective for me in maintaining good, healthy skin and I’m really happy that I’ve found excellent products that actually motivate me to stick with them! You also won’t find sky-high price points with this brand – I believe that everything is reasonably and moderately priced considering how packed the ingredient lists are. 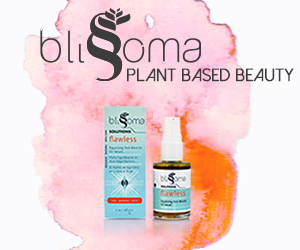 A big thank you is owed to Amy for introducing me to her awesome brand and I definitely have more YOU Skincare purchases I want to make in the future – specifically the Essential Hydration Serum and the newly released Tranquil Face Oil which is packed with my type of oils (squalane, prickly pear, ohhh yes). If you’re lost in the world of skincare in search for products that will actually deliver real results, I highly recommend to explore this line! Shop the entire YOU Skincare collection. Follow YOU Skincare on Instagram.